At the invitation of Cardinal Wiseman, the Discalced Carmelites made a foundation in Kensington in August 1862. The original Church, opened in 1866, was destroyed in Second World War. A new Church was built in the 1950′s. The Carmelite Church is an oasis of peace just off the busy Kensington High Street. The community ministers to a large and international congregation. In 1909, Carmelite Fathers arrived in Chesham Bois from Kensington to serve a small Catholic community in the Chalfonts. By 1912, the Carmelites Community moved to Gerrards Cross and developed the present priory and church. St. Joseph’s Parish is a community brought together by God’s love under the pastoral care of the Discalced Carmelites. Our Baptism calls us to respond to that love by following Christ and serving our neighbour. We strengthen our union with Christ and one another through our celebration of the sacramental life of the Church, especially the Eucharist. The parish was entrusted to the Discalced Carmelites by the Dr Dermot Ryan, Archbishop of Dublin, in July 1983. 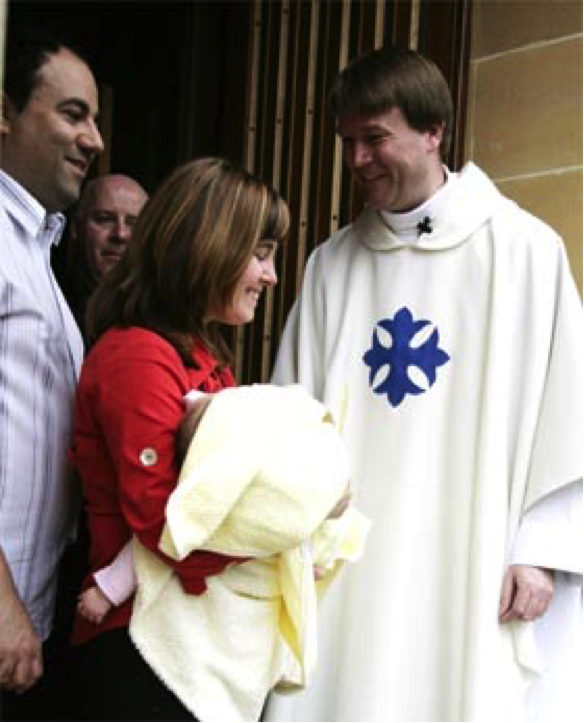 The community at St Joseph’s serves a busy inner city parish. There is great local involvement in parish activities. With the influx of other nationalities in recent years St Joseph’s has become a focal point for the Philippino community. That community now has its own choir which sings at one of the Sunday Masses. The friars also help with chaplaincy work at the Mater Private Hospital and Mountjoy Prison. The Discalced Carmelites in Clarendon Street have been serving the people of Dublin for over two centuries. Today as in the past St. Teresa’s continues to be a quiet oasis of prayer, administered by a community of brothers and priests who live a life of prayer, contemplation and pastoral ministry. We are most grateful for the support of so many people who visit the Church every day. Their faith in and felt need for prayer, Masses, Sacrament of Reconciliation, coupled with our availability to their needs and claims on us, have always issued in their support for our way of life. The deep faith of the people of Dublin, their love for prayer, their appreciation for our accompanying them with our prayers, compassion, friendship, liturgy, spiritual direction, occasional lecture and sharing has built up a close bond between our community and the people we serve. For over 700 years Carmelite Friars have lived, prayed and ministered in Loughrea. This presence has been supported by you, good people of Loughrea town, hinterland as well as much further afield. Now we face new challenges to meet new needs today. Loughrea has expanded and grown over the last few years. New people have come to live here. A new ministry of welcome and outreach is called for. This in part will be achieved in a new collaboration between friars, parish and laity. This is the hour of the laity. We wish to open up our resources for young married families, youth ministry and elderly folk alike.